Left, right and around it goes. to make your weird-wild-wonder wall! Great ideas deserve plenty of space – far more than a sheet of paper. Minimiro lets tiny minds express, roll, and stick their ideas straight to the wall. As if by magic, a black sticky snake twists fun contours around grapes, stones, leaves, tears or anything else the little ones might dream up. Playful and free, Minimiro encourages kids to explore their associative creativity. 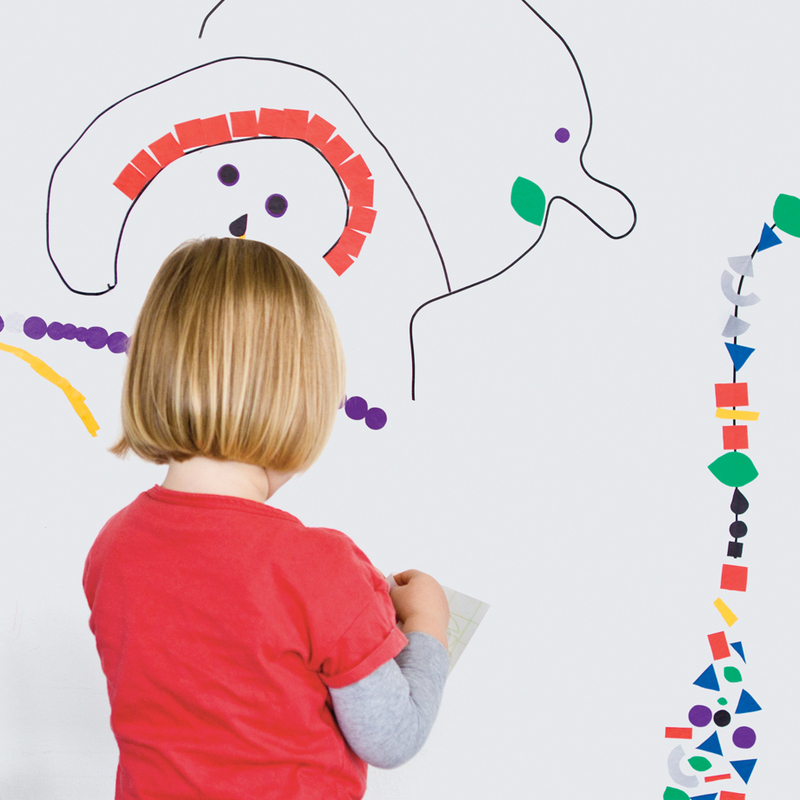 Seven sticker sheets and a roll of adhesive tape for curvy contours transform any wall into a fantastic dreamscape.